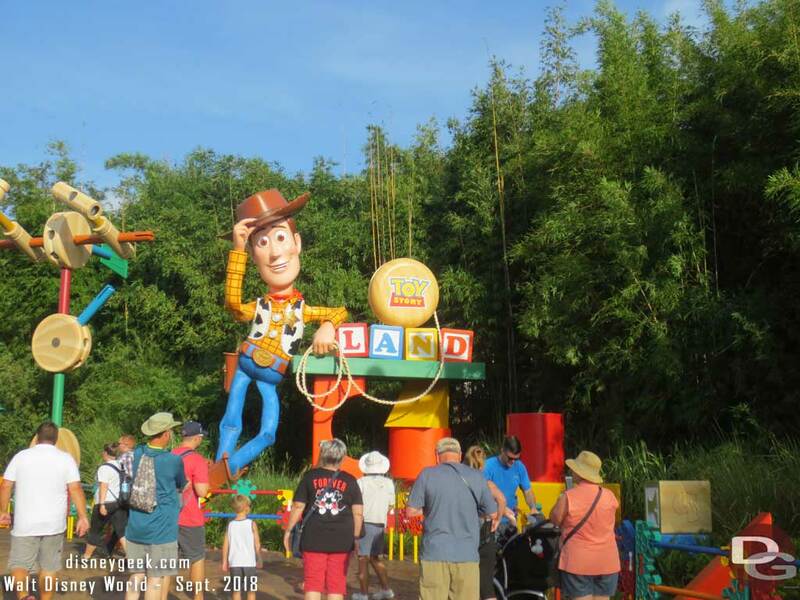 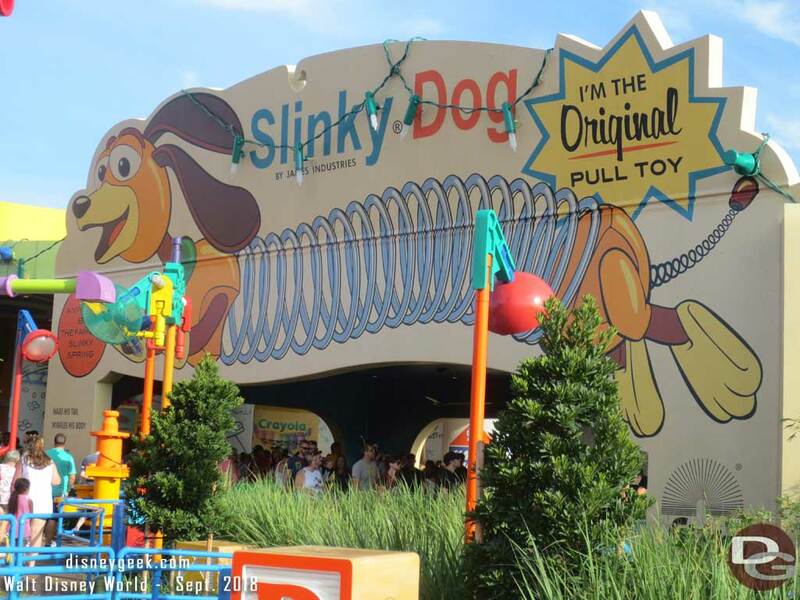 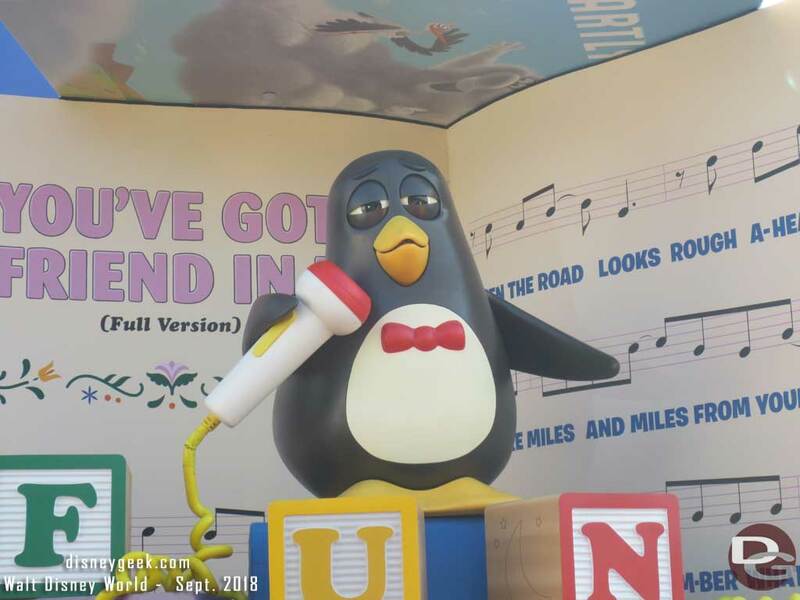 Toy Story Land was on par with those they had visited in other Disney Parks. 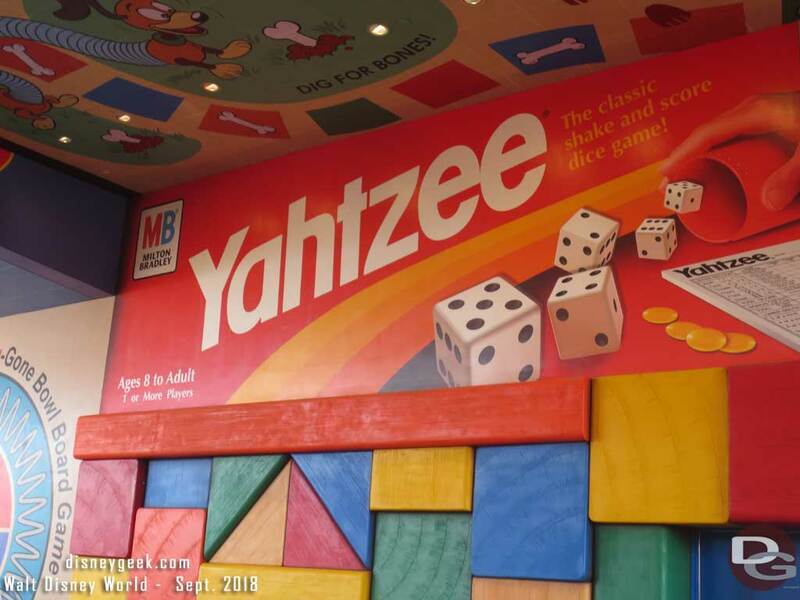 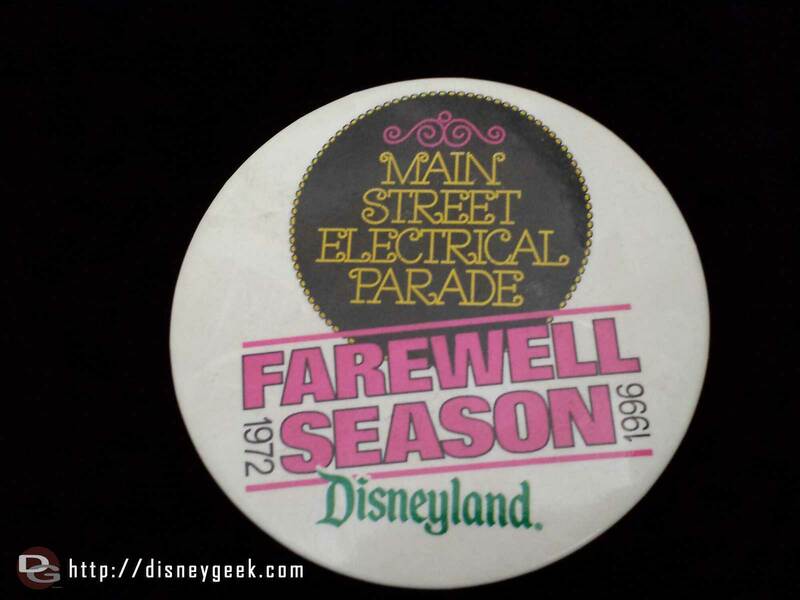 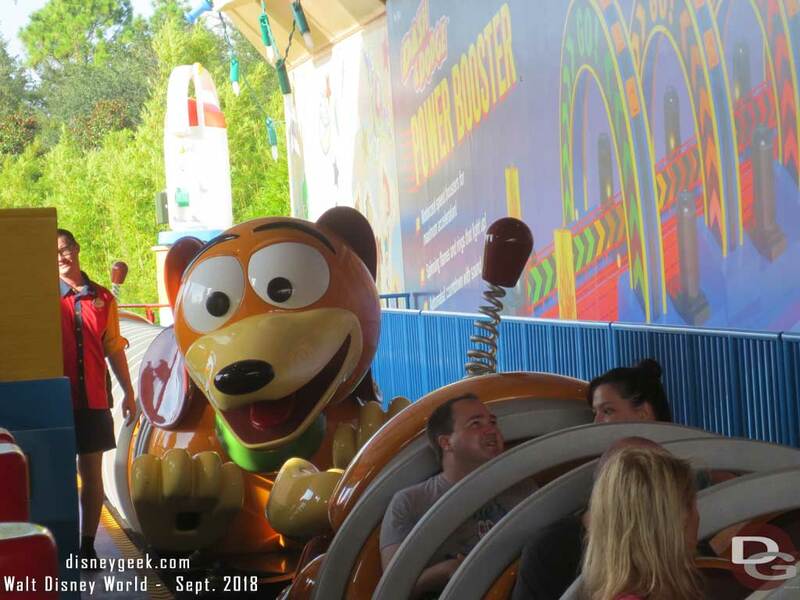 They enjoyed the attractions but did not feel it was a signature addition and even though two attractions are new they did not really feel that excited by it. 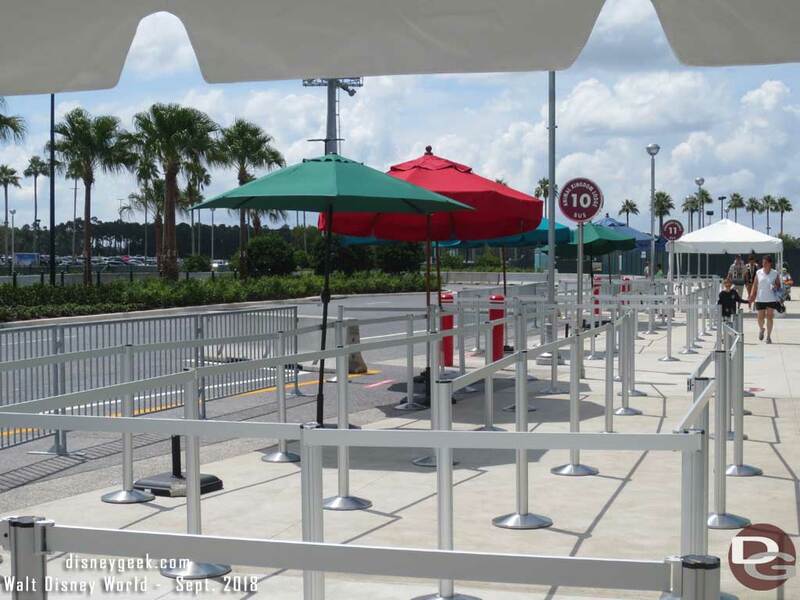 Also the lack of shade/cover in the land was troublesome given the hot/humid days. 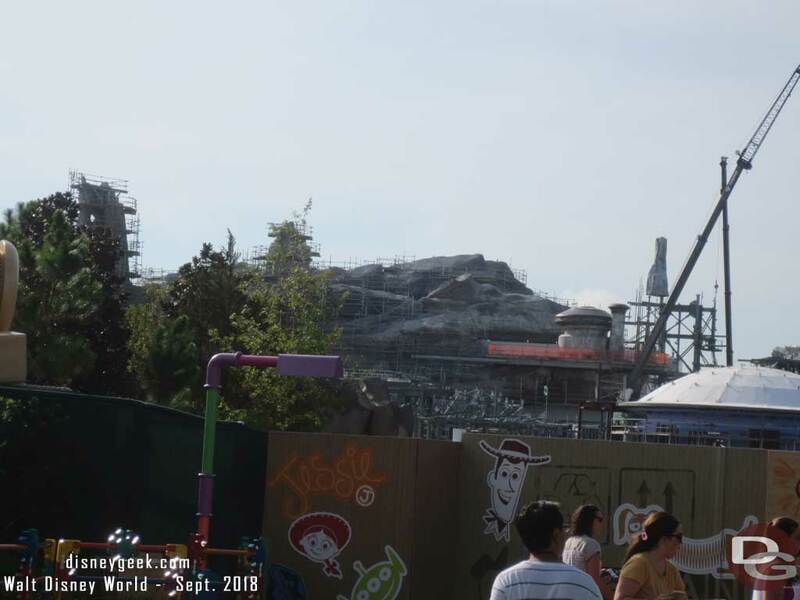 On the positive side they arrived before park opening and within the first hour were able to visit all three attractions with no FastPass reservations. 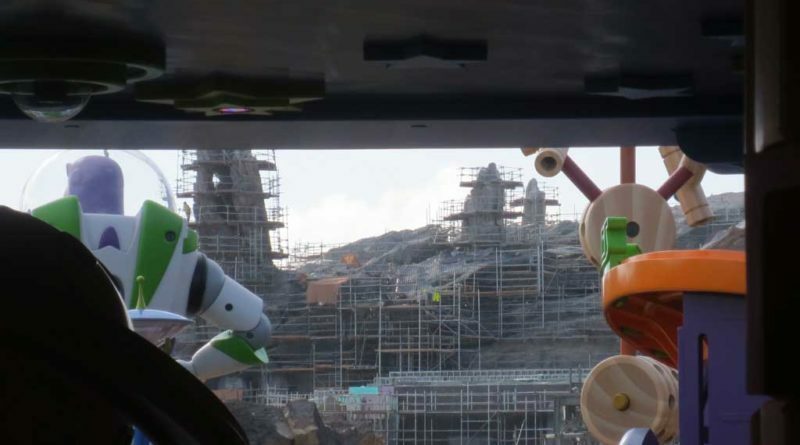 The Star Wars: Galaxy’s Edge views from Toy Story Land seemed awkward. 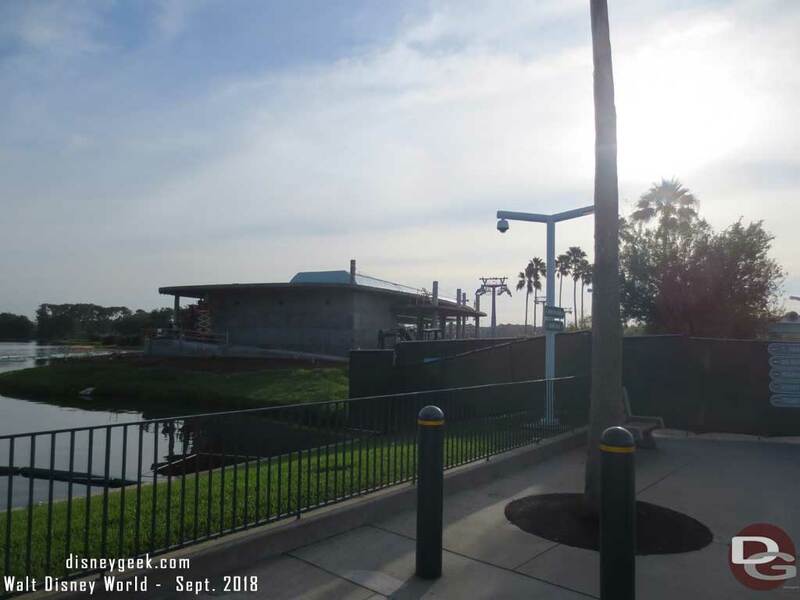 Nice to see the construction and views but did not really fit with the land. 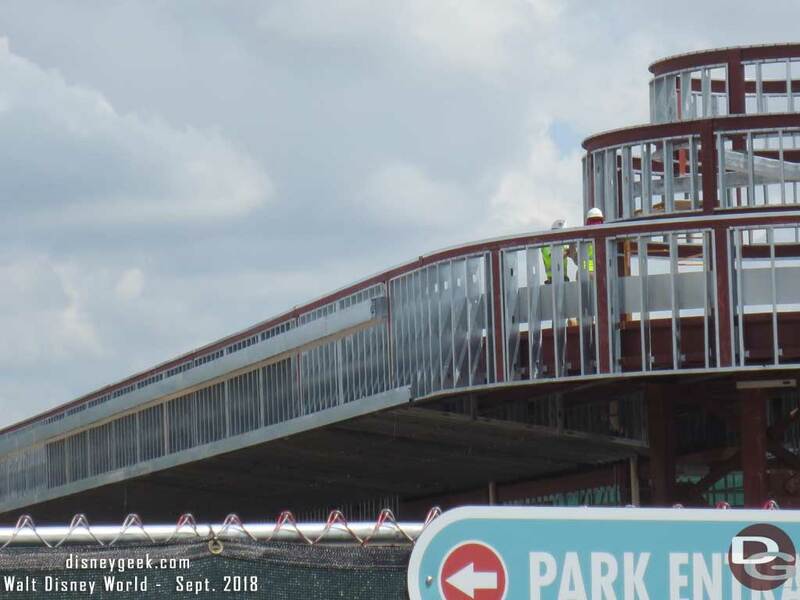 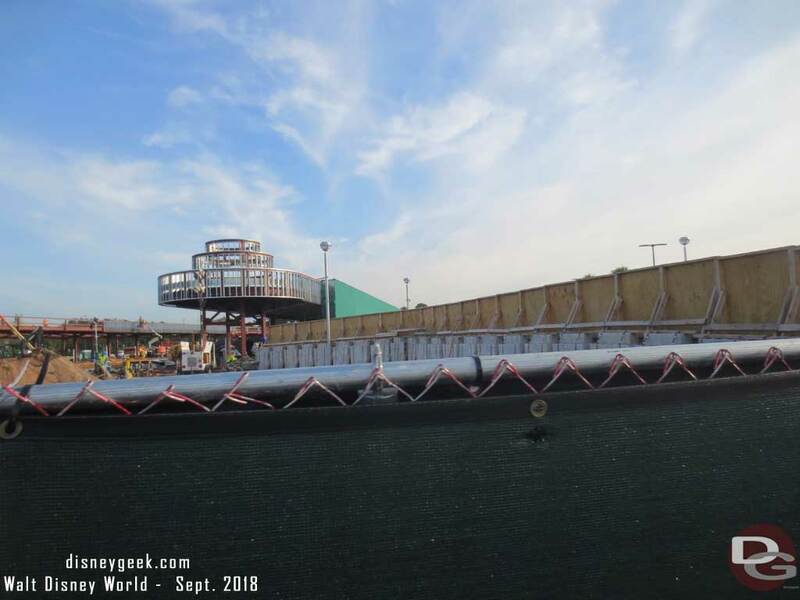 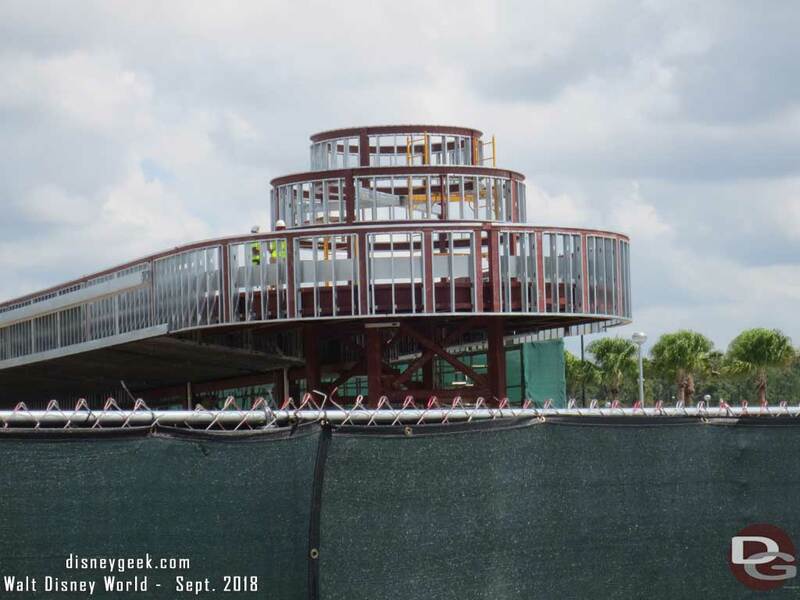 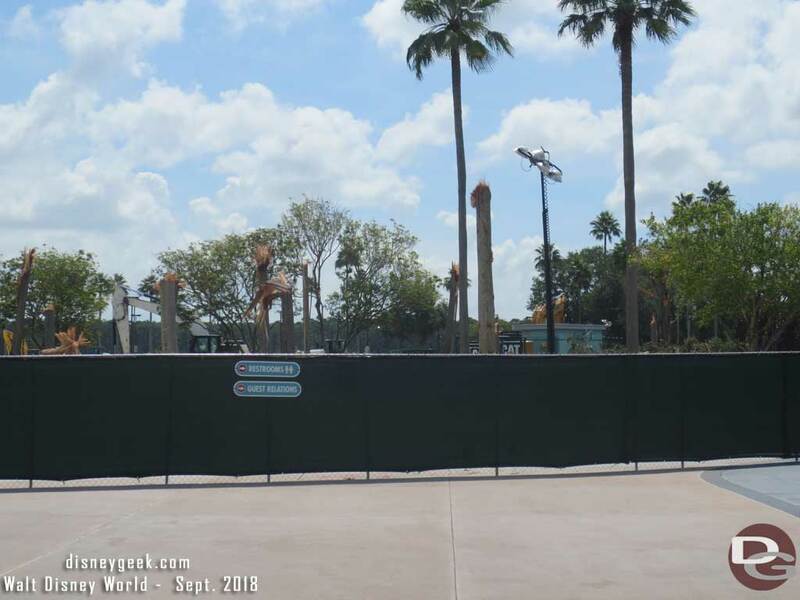 New Disney Resort bus loops are under construction at Disney’s Hollywood Studios. 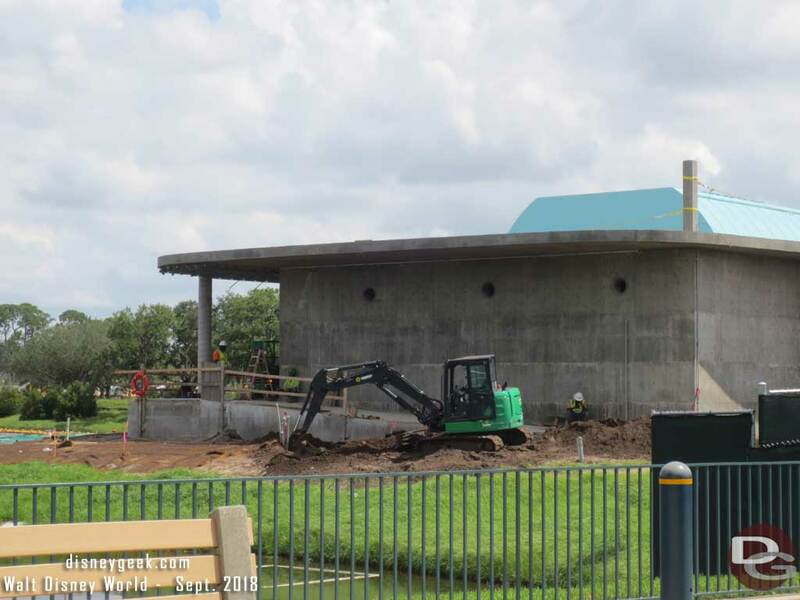 Here is one of the structures that will provide cover. 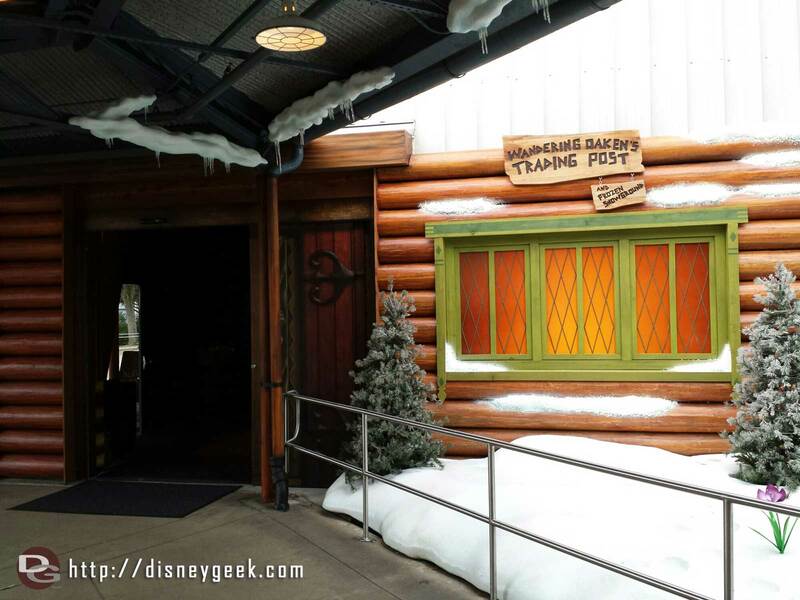 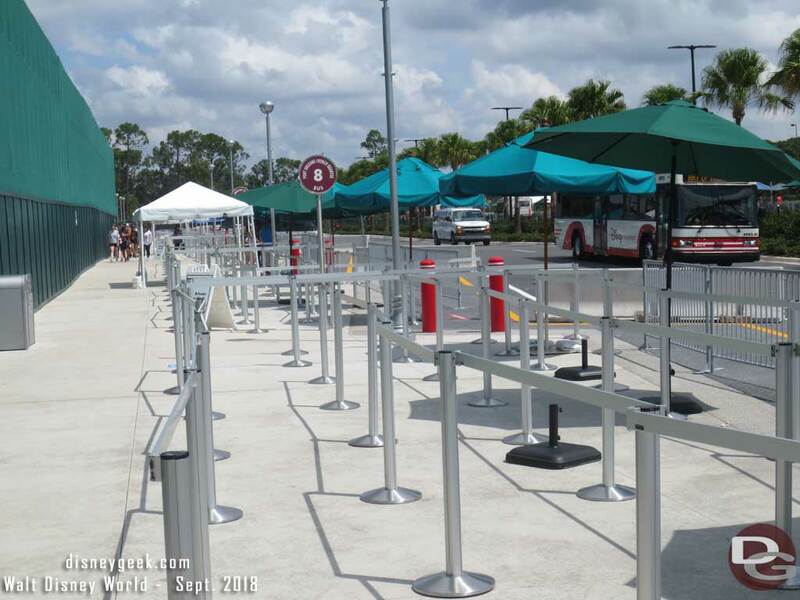 The current/temporary Disney Resort Bus stops. 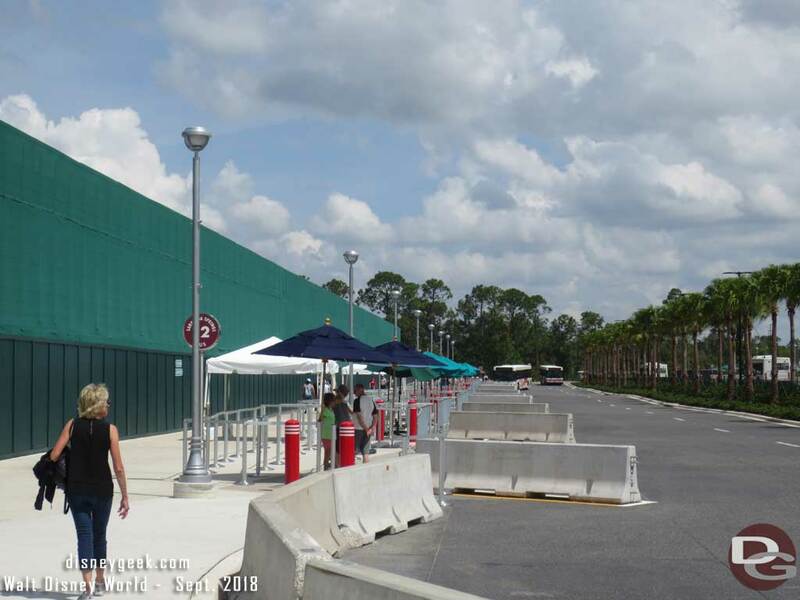 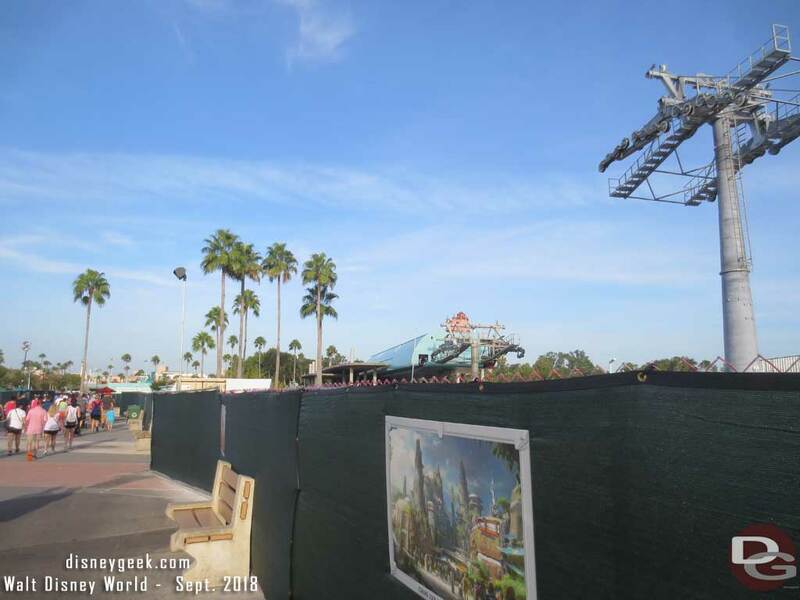 The old bus loop and tram stop area are fenced off and the palm trees were being removed. 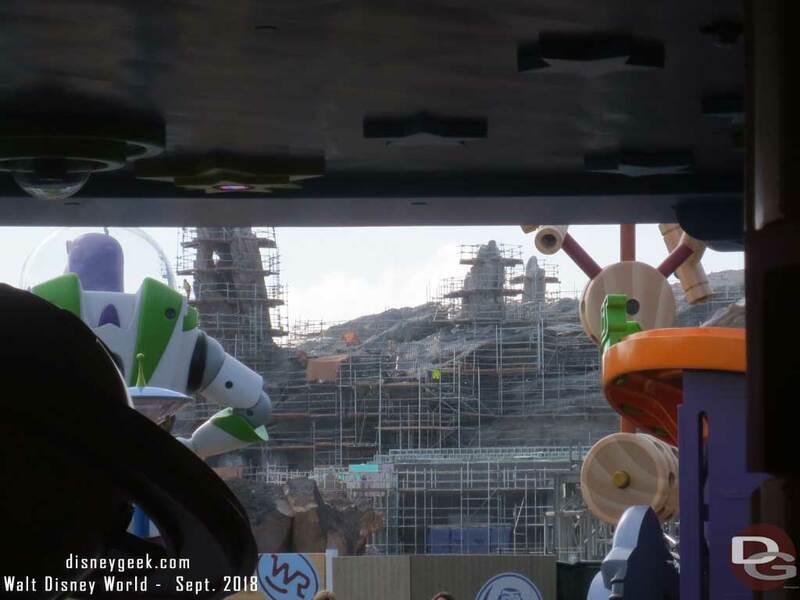 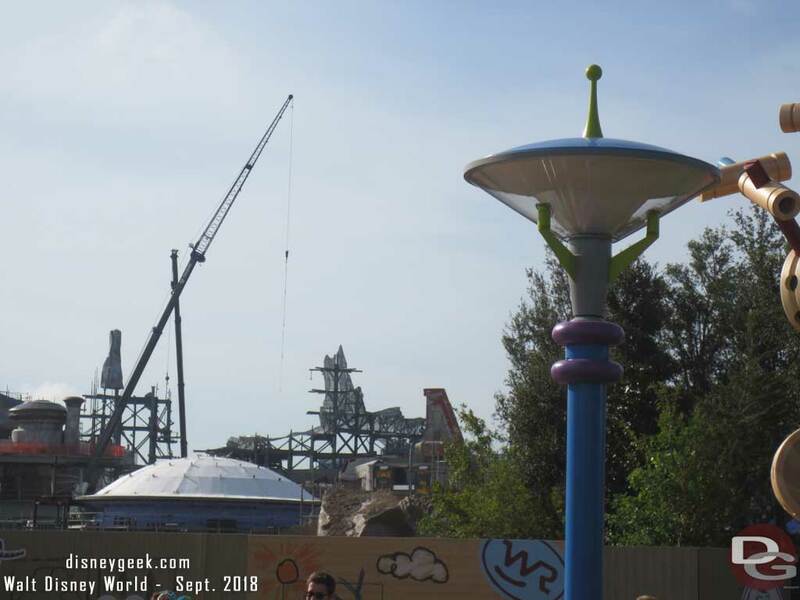 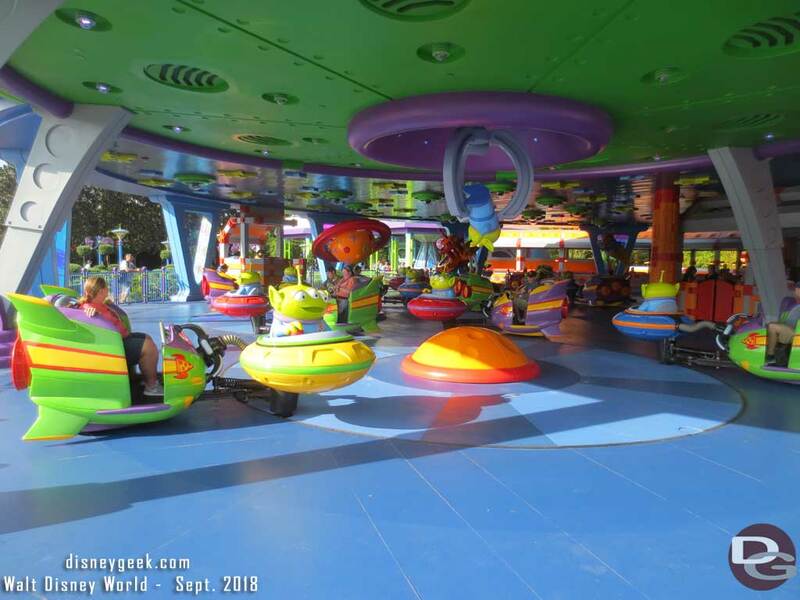 Alien Swirling Saucers at Toy Story Land is the same ride system as Mater’s Junkyard Jamboree in Disney California Adventure and Woody’s Roundup in Shanghai Disneyland.